If imitation really is the most sincere form of flattery, then Lockout is falling all over itself to compliment some well-known sci-fi and action films that came before it. Unfortunately, all that flattery is likely to fall on deaf ears, as Lockout ultimately amounts to a series of bad imitations of good films. 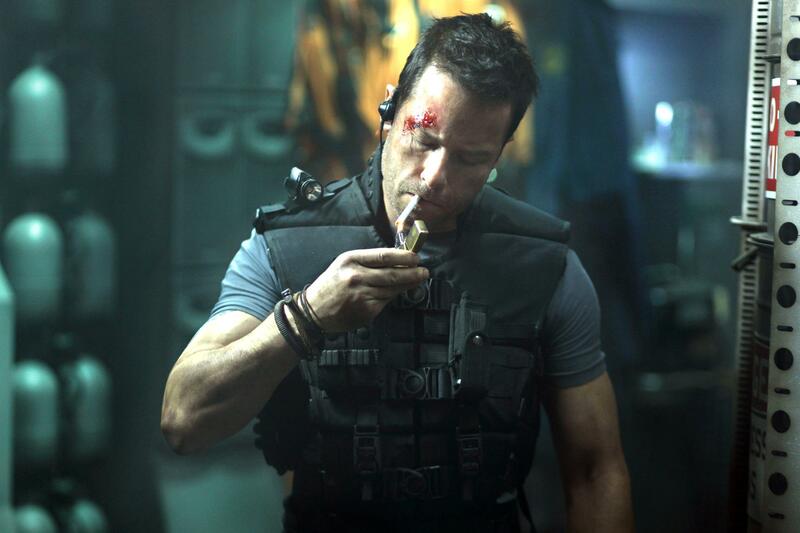 Written and directed by relative newcomers James Mather and Stephen St. Leger, Lockout tells the story of a fast-talking government agent named Snow (Guy Pearce) who’s framed for killing a fellow agent. When the President’s daughter (Maggie Grace) is taken hostage while visiting a high-tech prison in space, Snow is tasked with rescuing her in exchange for his freedom. And still, even if you want to like Lockout, it makes it so very hard to do so, thanks to one poor decision after another by the film’s team and the cast of characters they’ve imported. For example, protagonist Snow is a thinly veiled mash-up of Escape From New York antihero Snake Plissken and Die Hard everyman John McClane, with the former’s faux-indifference to the people around him and the latter’s affinity for cracking jokes in the face of overwhelming odds. What seems like a good combination at first is taken too far, however, and by the second act you find yourself wishing Pearce’s character would take things a little more seriously and please, just make him shut up. There’s also very little logic in the world of Lockout, even by traditional sci-fi standards. Fans of fantasy and science fiction are often expected to suspend disbelief in order to appreciate the greater story being told, but Lockout regularly positions itself in a world where even common sense and basic physics are sacrificed in favor of spectacle. One particular plot point has the prison station plummeting toward the Eastern Seaboard after the on-board scientist in charge of keeping it in orbit is executed by the escaped inmates. The audience is expected to believe that no one had ever accounted for the unexpected absence of the one (and apparently, only) person trained to prevent the station from dropping out of orbit and becoming a crowded, fiery, billion-dollar meteor on a collision course with Earth. Still, if that was the only element of the film that played fast and loose with its audience’s willingness to be carried along, there would still be hope for Lockout. That’s not the case, though, and the film offers up one wildly implausible scenario after another, including one particular scene in which a character skydives from the upper atmosphere only to lightly touch down on the planet’s surface with all the momentum of a feather dropped from a first-floor window. Clearly, in the Lockout universe, physics are more of an option than a necessity. Between its sketchy logic and compulsive sampling, Lockout never quite manages to find its footing, and falls short of its potential for simple, sci-fi adventure. Too caught up in what it’s trying to ape, the film lacks any identity of its own, and ends up being a caricature of its genre — and a poor caricature at best. 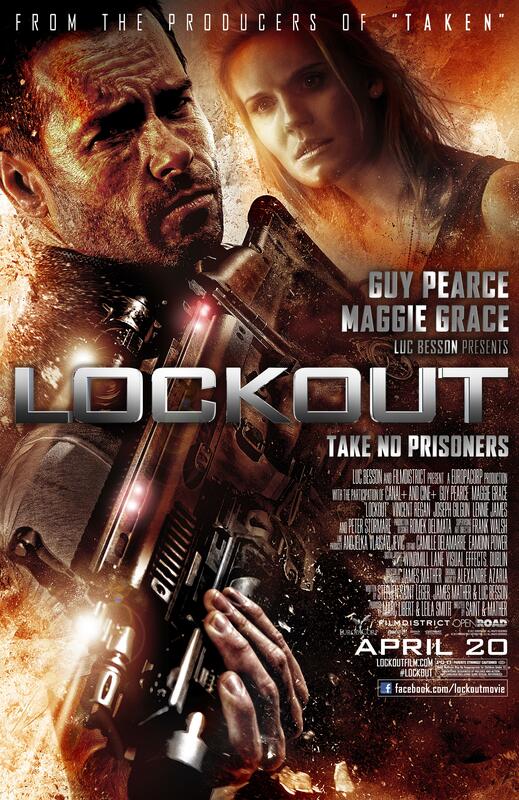 What do you think of our Lockout review? Did we miss something? Let us know in the comments below.